Live music in the casino was disturbing the sleep, but our room was right on top. So, you may ask for a quiet room, we just did not know that. Othewise ok hotel for one night. It took forever to check in even with reservation...the room was clean but very small and there was no hot water....argh!! Folks were just fine. They kept me in the building with coupons for free drinks and discounts. I do not gamble. I was not passing through. I was looking for property. The irish bar across the street was a nice dive to meet locals. The McDonalds on the other end of town was insufficient for internet access. I would recommend the Winnemucca Inn if internet access is a priority. I was able to tap into their wifi to make a reservation to get outta town. The room had been updated and had new fixtures in the bath. Window air conditioner, no fridge or microwave, bed was good. For price it was fine, with only a small selection available in this town. The room I booked was newly renovated and very nice. Comfortable bed and pleasant surroundings. Staff was also quite personable and helpful. When we arrived they had difficulty finding our reservation. Then we found that the room was on the third floor with no elevator!! However, they did find another room on the first floor with one bed while we had asked for two. Even so, the room was good and was convenient to the restaurant. A basic room in a casino in Nevada. The room was clean and quiet. No noise from the casino downstairs. Obviously, close to food and entertainment. a very inexpensive place to stay for just one night. We stayed here on our move to California for Utah so we could split the distance. For 60 bucks, it was a pretty good deal. The rooms were clean and nice enough for a stop over. The people in the casino were all friendly and extra helpful. Dinner and breakfast at Pete's Grill were a great value and decent food. We'd stay here again. The inn is old. Air conditioning quite loud. Room big but restroom too small. AC outlets very loose, can't change my phone. Room numbers are ordered in a weird way. The casino looked good. It's below average as a three star hotel. It feels more like a 2 star inn. Price is cheap. The room was decently clean, staff was friendly enough, didn't have any complaints about the stay. I didn't actually use the casino as I was just passing through town and exhausted so that might've changed my mind. I had pre-booked the room because it was cheap. Loved the morning shower, live music and plenty of slots machines. We basically chose this hotel because it was on the way to our destination, and I thought an old casino feel, unlike Vegas, would be a fun experience. The staff at the hotel and the dealers at the casino were great. They made us feel very welcome. However, the rooms were disgusting. We had some insects in the room and they definitely needed a makeover. We had a restless sleep throughout the night as we were worried that the room had bed bugs as well as the matresses being worn out. You MUST avoid this place. Ordinary structure with sound problems, but for the price it was a good place to rest. Smoking was a big factor at the restaurant and the Casino- like the rest of the country 50 years ago. This room was not fancy, but it was nice and clean, with plenty of room. It had a fridge and a coffee maker, both in excellent shape, so already a notch above most other places in the same price range. The staff were very friendly and helpful. The TV was the best one of the five hotels we stayed in on this trip, a nice big LCD on the wall. Overall I was very happy with this room. Plain Jane room. Pretty good bed. Air conditioner had loud rattle on high speed. Rattle much less on low speed. $1.00 each coupon for meal in hotel restaurant, where breakfast was reasonably priced. I wish I had tried this place sooner. I have only positive feelings about my stay! Easy to find, Clean room,comfortable bed,quite but we had a very poor shower head. The room was OK. The disappointment was that we ordered a "handicap" room for our Aunt. She had to climb 9 stairs (no elevator) and there were no grab bars in the bathroom or shower. Not sure how they classify this "handicap". TV reception was poor and the beds were small. Doubt we will stay there again. Nice room, very clean. they provide you with a sheet of discount items in the casino, at the restaurant and at the bar. Very cool. Did not appreciate the guy banging on the door to the room next to us at 6:15AM. After check-in at the casino, we had to go across the street to find our room. Okay, a bit small, not bad for the quick stop. Winners Inn Casino places you next to Winnemucca Convention and Visitor's Center and within a 15-minute walk of Humboldt Museum. This 122-room, 3-star hotel welcomes guests with 2 restaurants, a casino, and free in-room WiFi. Enjoy dining at one of 2 onsite restaurants including Petes Kitchen, which specializes in American cuisine. You can sip a beverage at the coffee shop/café. A flat-screen TV comes with satellite channels, and guests can stay connected with free WiFi. The bathroom offers hair dryers and free toiletries. Other standard amenities include a coffee maker and free local calls. 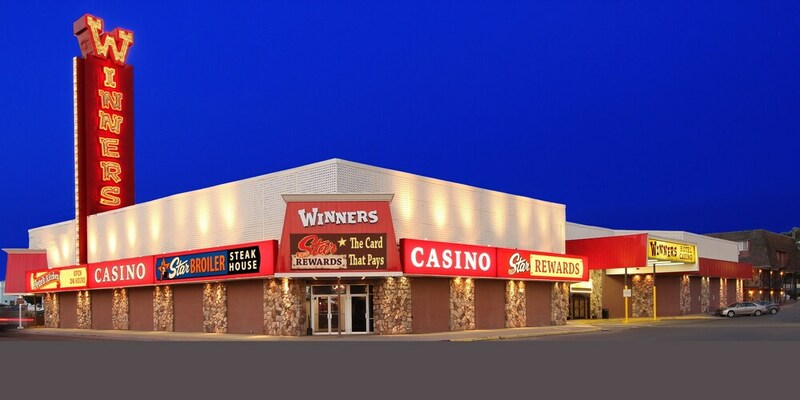 Guests of Winners Inn Casino enjoy features like a casino, free WiFi in public areas, and a meeting room. You can take advantage of free parking, along with a free casino shuttle. Additional amenities include an arcade/game room, an ATM, and a banquet hall. Petes Kitchen - Restaurant and bar specializing in American cuisine and serving breakfast, lunch, and dinner. Kid's menu available. Open 24 hours. Star Broiler - Steakhouse and bar specializing in seafood and serving dinner. The preferred airport is Reno, NV (RNO-Reno-Tahoe Intl. ): 147-min drive, 167.9 mi/270.2 km. Driving? This property offers free self parking, along with free RV, bus, and truck parking.